This recipe is one I love cooking for family and friends, as it’s easier to cook in bulk. It’s based on a loose adaptation of jerk seasoning, but with veg instead of chicken, and I think it’s really delicious. You can serve this with corn, wraps, rice, yoghurt, salsa, mangoes, anything you like really! It’s supposed to be a colourful dish, so have fun with it. 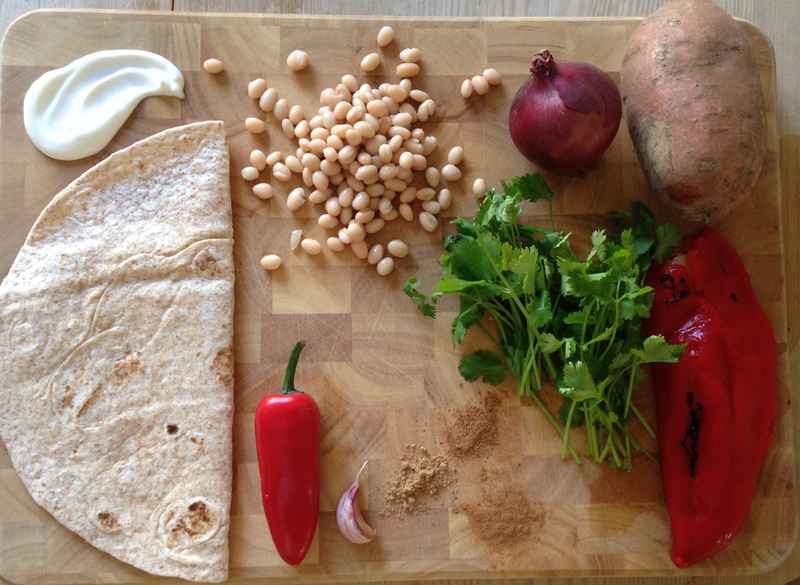 I usually use black eyed beans for this recipe, however there weren’t any available in the supermarket so I’ve used haricot beans instead. If pushed, black beans and cannellini beans will work just as well. I’ve now added an easier way for you to follow my blog, if you’re interested, you can receive update via email by signing up in the left hand side column! 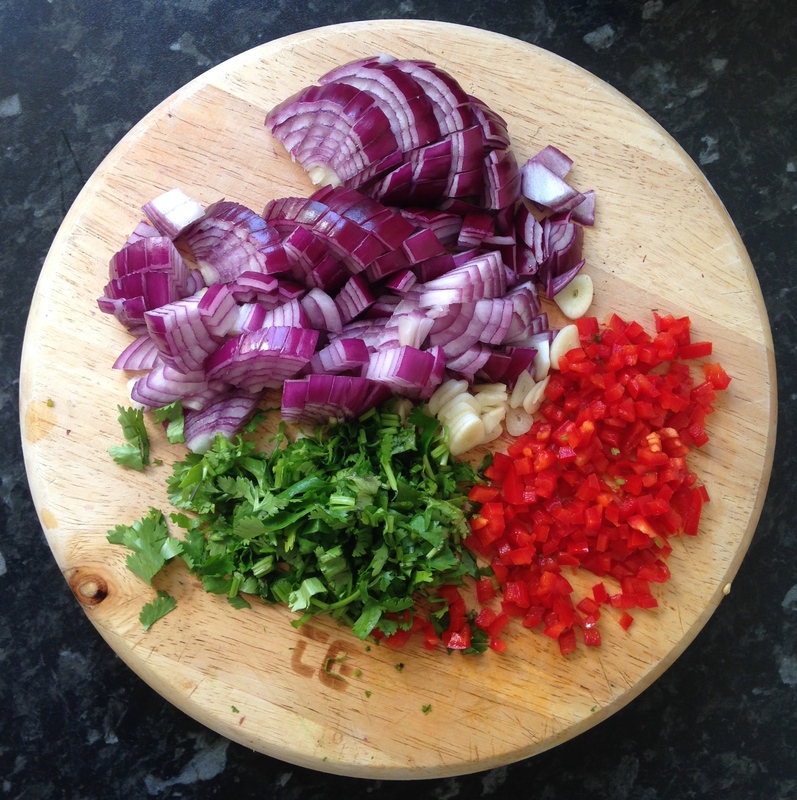 Finely chop your onions, red chilli (seeds removed), coriander stalks and garlic. Put a large pan on a medium heat with 1 table spoon of olive oil, once the oil is hot add the onions, chilli, garlic, coriander and spices. Stir for 10 minutes until the onions are soft, then add the red wine vinegar and simmer for a further 10 minutes. 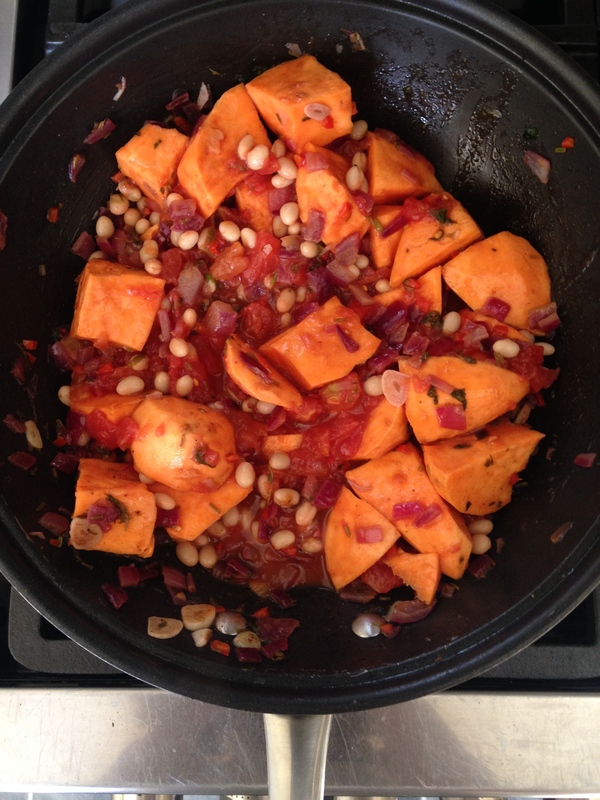 While the onions and vinegar are simmering, peel and chop your sweet potato and add to the pan. Stir to cover with the spices and then add the beans and stir again. Add the chopped tomatoes, refilling the can two more times with water and adding to the pan. Then add the vegetable stock cube and turn the heat down low. Simmer for 35 minutes until the sweet potato is soft. While the curry is cooking, put the rice on to boil. I use 1 mug of rice per two people and 1 mug of rice equals 2 mugs of water. 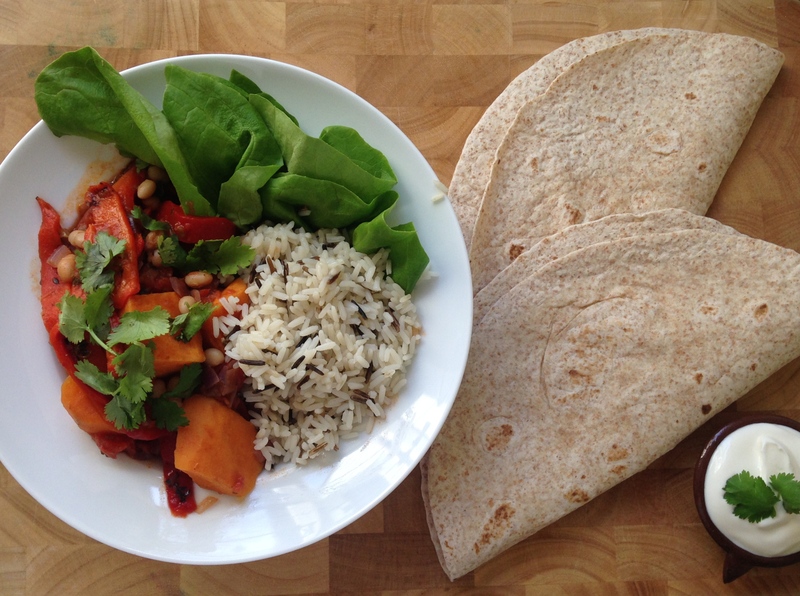 To serve, put the curry and rice into bowls, I’ve served with lettuce, and eat with wraps and natural yoghurt and fresh coriander leaves. If you happen to try any of the recipes I post on my blog, please feel free to tweet them to me at @beankitchenblog or use #beankitchenblog on instagram!